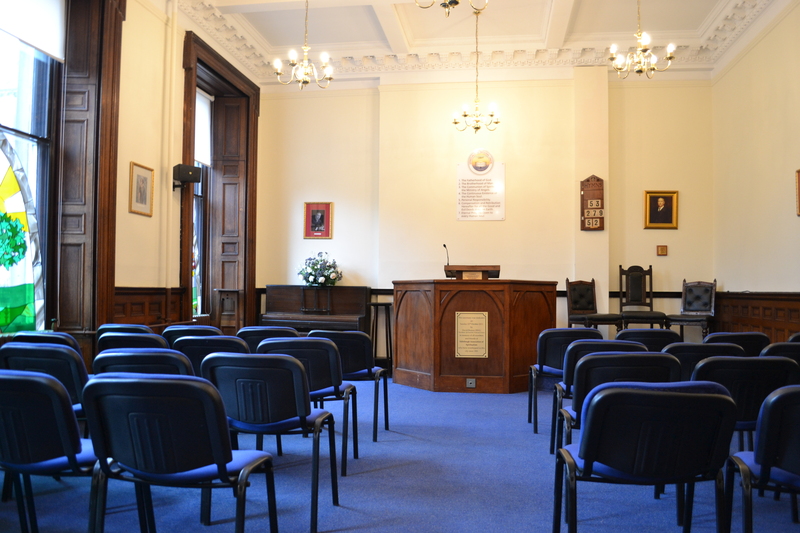 The Sanctuary provides a beautiful space for weddings, meetings and for private room hire. The room will seat around 50 in Theatre-style and around 25 people in a Boardroom or Cabaret layout. The Sanctuary has ornate features including stained glass windows and chandeliers. It has a small raised platform and pulpit at one end of the room. Our Sanctuary is used for weekly services of worship, but as we are a community building, it is also used for Tai Chi, Yoga, Meditation, as well as many other activities. Tel: 0131 625 0700 or bookings@arthurconandoylecentre.com to check availability and to book.